A gorgeous pair of lips either to a man or a woman is very important. 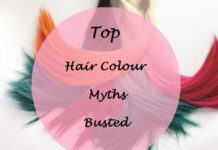 Adorning of lips with color is an ancient practice, when the women used naturally available colors in fruits and roots. 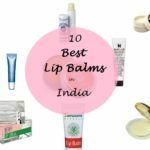 So, caring for ones lips is only natural and here comes our topic of discussion: the good old lip balm for dark, dry and pigmented lips. 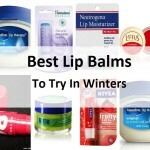 Lip Balms are important, as they nourish and moisturize the lips to give them a healthy look. However, for those of us who have rather darker pair of lips, we have special balms available too that are tinted and come with SPF. 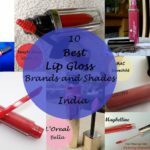 Take a look at our top picks in India for those looking for the best quality lip balms for their pigmented and dark lips. And for boys who shy away from lip balms thinking only girls use makeup, then fear not as most of these can be used by both men and women. Think lips and you instantly have Angelina Jolie or Priyanka Chopra (closer home) pop-up into our minds; these women are in fact ‘all-lips’! What is it about lips that make it one of the most important assets on our face? Perhaps because lips are the ‘holders’ to two of the most important of human expressions: words and passion. Imagine a face sans lips (think Hallow man from the movie ‘Hallow Man’) and having to kiss or spell out your favorite words? No, right! A lot of home remedies for dark lips are found in nature but nothing can beat the ease of a chapstick. 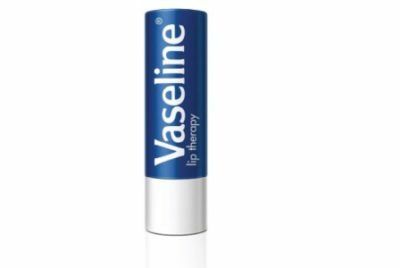 One of the oldest and most trusted brands in skin care, Vaseline Lip therapy tops our list. This particular product is packaged in both a tube and a tiny jar with a lid. The main ingredients used are cream and Cocoa butter, making it smooth on application. Not too harsh on your pocket and definitely a lot milder on your lips and works well in treating your dark lips, go for Vaseline Lip Therapy if you are ‘on-the-go’ kind of a girl. Quite pricey but absolutely worth it. 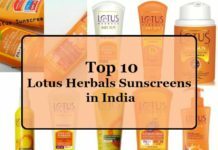 Being a cruelty-free brand, Lotus is sure doing a great job by offering beauty care in a wide range of choices. 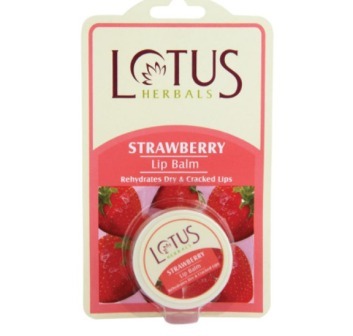 The Lotus Herbals Lip Balm is available in Cocoa, Cherry, Chocolate, Vanilla and Mint flavours. 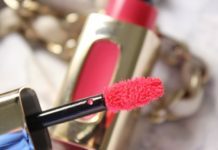 This particular lip cream is great for dark, dry lips as it is reviewed to have improved the natural coloration of the lips along with hydrating properties. Go for this if you can splurge a bit and require a long-lasting moisturized lip. 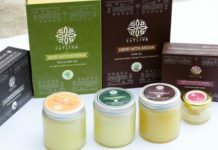 Completely Ayurvedic and originally an Indian product, you have more than one reason to go for this product. 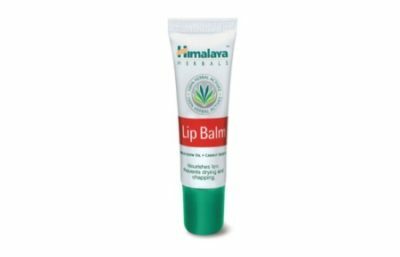 The Himalaya Herbal Lip Balm is sans any side-effects as it is purely natural and also provides protection from the sun so your lips won’t turn darker. Easy on the pocket and long-lasting on the lips, this lip balm is sure a best-seller of sorts. It heals dry, damaged and cracked lips perfectly. Nivea has been on the hit-list of quite a few people since decades. It is a trusted and one of the oldest brands known, with at least a jar of the Nivea Cream in every Indian household at one point of time. 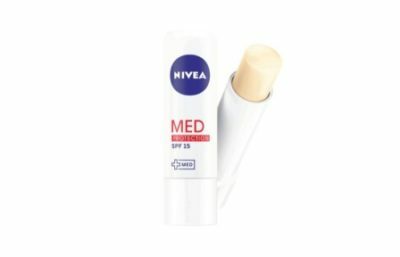 The Lip Balm from the Nivea is just as good, as it contains SPF 15 and just a hint of fragrance to go with it. Its really good for preventing black and dry lips. The Nivea Repair and Protection Lip Balm is transparent in coloration and light in texture, giving you a feel of wearing ‘nothing-at-all’. This chapstick is perfect for men and boys as it is medicinal and healing and doesn’t have any tint or colour. These are simply pretty, making you want to have them even if you do not need them! 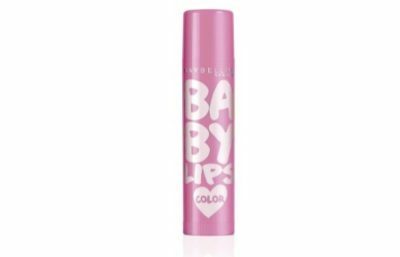 However, the Maybelline Baby Lips is the best bet so far for dark lips as they have been manufactured for this specific purpose. With so many adorable colors and flavors, this lip balm also contains SPF 20, so you can fearlessly step out in the sun without a care in the world. 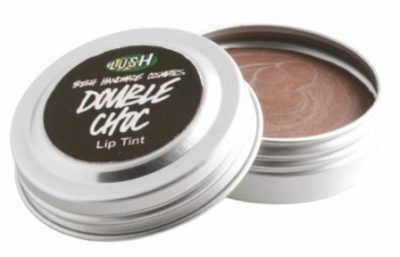 The tint helps in hiding the pigmented lips and the spf prevents further blackening of the lips. 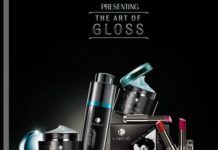 Being medicinal in purpose and unisex in its appeal, the Avon Lip Balm is available in three unique flavors. These are a savior when it comes to deep-treating dry and chapped lips, as it has healing properties as well. Great for dealing with dark lips, Avon Lip Balm is your best-friend if you need a nice moisturizing lip balm with a soothing effect. It has to the best lip balm for dark lips ever. 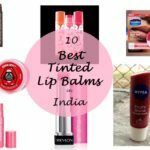 This lip tint is so good; you might as well gobble it-up! Step in to a Lush store and the aroma is enough to have to pick up something for yourselves. Lush products are known to stimulate all the five human senses at the same time, the handmade lip balm being on top of the list. This particular product has a slight ‘tint’ giving you enhanced natural-looking lips hiding the lips which have blackened over time. 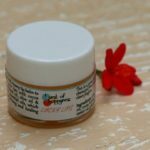 With a heavy price-tag, the balm is worth it, as it leaves you with a feeling of just been loved more than you expected to be! 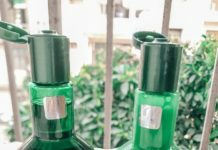 Too much Lush stores are not in India but you can buy these online. 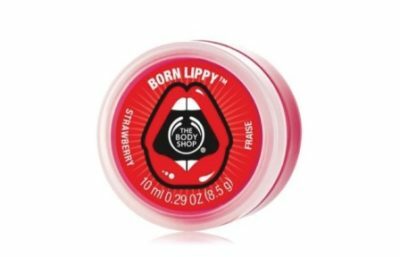 One of the very few cruelty-free products, The Body Shop’s Born Lippy is a cult-favorite. 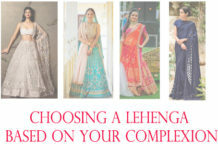 The best aspect about this particular natyral brand is the fact that it makes you feel pampered and loved. The Born Lippy lip balm is your perfect bet if you need to get rid of hyper-pigmentation on the long run. 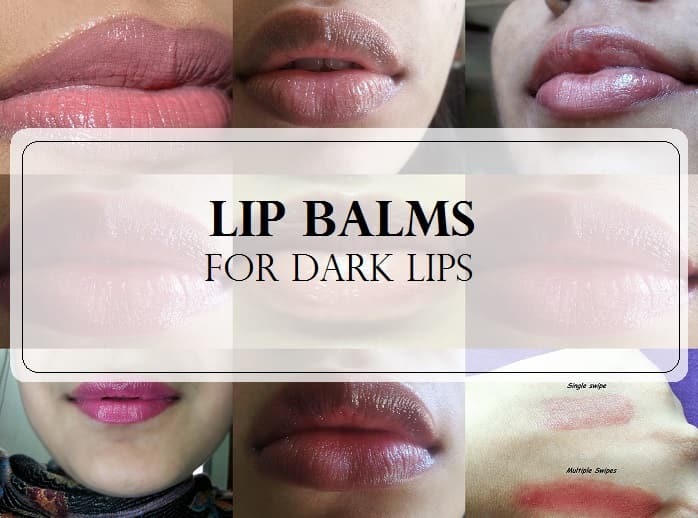 The lip balm for dark lips has quite a few yummy flavors for you to choose from: Strawberry, Sheabutter and Pineapple. Though the lip moisturizer burns a hole in the pocket, however, it leaves you a happier person with gorgeous, desirable lips! 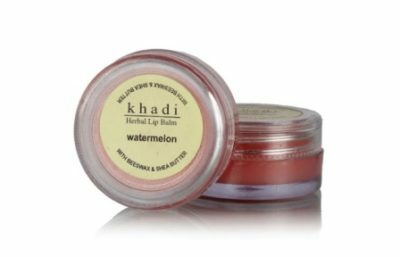 Another remarkable brand of Indian-origin, Khadi Herbal Lip Balm is your perfect solution to darkened lips. Since the brand is known to use all natural and organic ingredients, Khadi Herbal Lip Balm has absolutely no side-effects. The product is mild on your lips and has super-moisturizing properties. 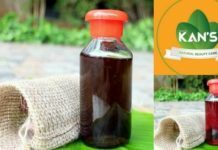 The Khadi Herbal Lip Balm is reasonably priced, making it widely accepted. 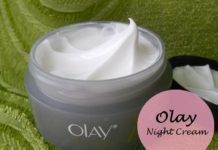 It is advised to use the balm as a part of your night-time beauty ritual, having it work your lips overnight. Another top selling lip balm for black or dark lips. 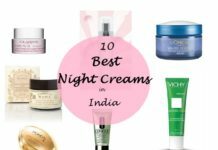 One of the foremost in Indian Beauty brands making it huge both domestic and overseas, is the Shahnaz Hussain range of beauty products. 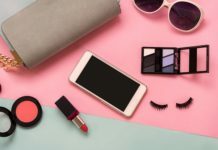 The brand is trusted for its quality and action-specific products making it the first choice for beauty-woes across the nation. The Shahnaz Hussain lip balm for dark lips is your answer to healing dry lips. It also lightens and whitens the pigmentation on lips. 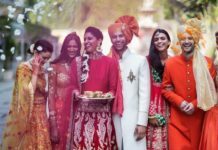 The product is consists of Almonds, Turmeric, Saffron, Carrot seeds, Sandalwood, Marigold, Calamus, making it a safe-bet. One of the most trusted products which banks up-on its quality alone, Burt Bee’s Lip Balm is a popular pick in the Indian market. 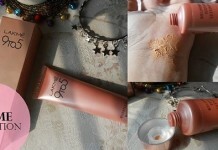 The product is reviewed to bring back the original coloration of darkened lips with a week’s regular usage. This is a fairly new name in the Indian market, nevertheless, is gaining huge popularity due to its quality-based products. 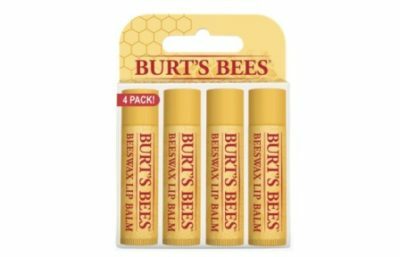 Go for Burt Bee’s Lip Balm if you need to try a new and a trusted brand for smooth hydrated lips. 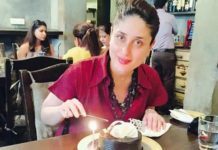 Our editor-in-chief Anshita swears by it. 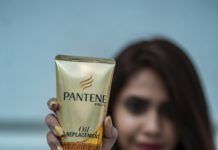 You can find in in sephora stores in India easily. Caring for lips has been a part of ancient beauty ritual, where it is reported that the Egyptian queen and the ultimate ‘beauty goddess’ Cleopatra used a rather lethal ingredient composed of Carmine Beetles and ants to achieve her Ruby-red lips (‘Vanity no apologies’ I guess!) 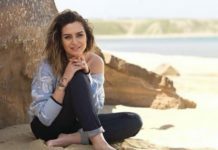 However, in the recent times we have better and much safer options to choose from that are focused at not only making us look good but also to care for our skin. 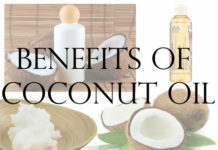 For those of you, who are into a hundred percent natural occurring products, go for plain and pure Coconut oil. 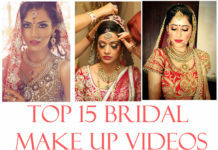 Apply a little bit of oil over your dark lips and leave overnight, you will wake up with pretty, pink and smooth lips. Of course, it is almost romantic to have a soft beauty-balm glide smoothly over your lips, leaving a sensuous fragrance and flavor behind; something like having ‘made love’ at the moment. Which is your favourite Lip Balm For Dark Lips? Share your reviews with us. as my lip is lil dark. Himalaya Lip Balm is perfect. Hi, good to see your positive words but does they turn lip color to natural pink ? I use Lotus vanilla lip balm because it keep lips moisturized for more time. gonna try the mentioned lip balms. I like vanilla lip balm because it keep lips moisturized for more time. 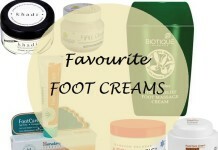 I prefer more for herbal products. I was a frequent smoker . But , now all I have is dark lips which is so annoying and makes people comment on it . Suggest a best product which could heal my dark lips and helps gain my genuine lip color back . Suggest me the best lipcare please . If your lip color is genuinely pink or bright, you will get back it. For this, you have to quit smoking because you cannot lighten your lips along with smoking. When you quit smoking, gradually your lips get back its own color. Besides, you can use some lemon juice and honey mixture. Rub your lips softly with this mixture for one minute. Lemon juice will remove the smoking stain, and honey moisturize the lips. Use this remedy twice a week. And you have to always keep your lips moisturized. Use a lip balm every two hours. 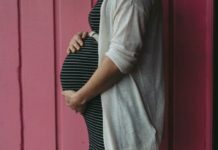 Hope, you will see significant changes on your lip color within 1-2 weeks. Comment:hey! i was using bad quality lipsticks since from my childhood.. now my lips are too black ..please recommend me a perfect lip balm which can reduce my lip darkness..